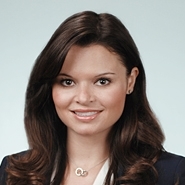 CHICAGO, Ill. — The national law firm of Quarles & Brady LLP today announced that Lindsey T. Lund has joined the firm's Chicago office in its Litigation & Dispute Resolution Practice Group. Lund represents and counsels clients in commercial and civil litigation matters, including product liability, construction negligence, wrongful death, and premises liability. She has first-chaired 12 jury trials, two bench trials, and more than 35 arbitrations in the area of insurance defense litigation. Lund has experience serving as general legal counsel for a real estate investment company, where she advised on general commercial litigation matters. She received her law degree from Vanderbilt University Law School and her bachelor's degree from the University of Wisconsin-Madison.